A study in Okinawa, Japan demonstrated that eating lots of leafy green vegetables is really effective at preventing damage to the endothelial cells which line our blood vessels. But is it better to chew or juice our vegetables? The specific process we want to avoid is oxidative inflammation. To do this this, we want to eat loads of anti-oxidants. 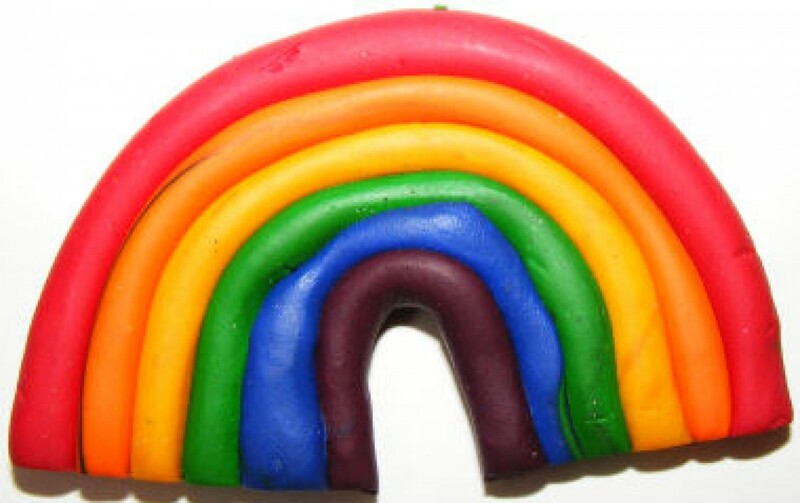 But can’t we just get these from swallowing a jugful of anti-oxidant potions sold by the local health store? Apparently not. This supplement approach not only does not work, but it’s probably going to be harmful. The anti-oxidants we want will only come from food that has a high ORAC (oxygen radical absorbance capacity) – raspberries, blueberries and strawberries are excellent, but the absolute champions appear to be the green leafy vegetables, at least according to Dr Caldwell B. Esselstyn. When we eat vegetables “…[w]hat you are doing is you are bathing that cauldron of oxidation inflammation all day long with nature’s most powerful anti-oxidant” – nitric oxide, produced by the endothelial cells within our blood vessels. And it is the green leafy vegetables that he considers to be our best source of nitric oxide-producing foods. Cabbage, kale, brassicas, spring greens, bok choy, Swiss chard, beet greens, mustard greens, turnip greens, Brussels sprouts, broccoli, cauliflower, coriander, parsley, spinach, rocket, asparagus. That’s just a few, but enough to get you started. By the age of 50, nitric oxide production from the endothelial cells of the healthiest person will tend to drop to approximately 50% of what it was at age 25. Does that mean that your anti-oxidant protection will run dry no matter what you do? Apparently not. Another route for making nitric oxide is through the gastrointestinal (GI) tract. When we consume green leafy vegetables, the nitrates contained within them get converted into nitrites when they get inside our GI tract. But not as much nitrate is absorbed as nitrites when the food passes through the body. However, there is an additional method that we can use to get the maximum “bang for our buck” from these nitrates. If we chew nitrates (i.e. 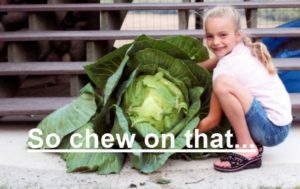 our green leafy vegetables) rather than juicing them, then the nitrates are going to mix in the mouth with the facultative anaerobic bacteria that reside in the grooves and crevices of the tongue. These bacteria will reduce the nitrates in the mouth to nitrites, so that when these additional nitrites are swallowed, they are further reduced by gastric acid into nitric oxide, and this will join with the body’s nitric oxide pool. The nitrites in the stomach that are not converted into nitric acid will be reabsorbed into the circulation further downstream. In turn, they will circulate back to the salivary glands where they will now be concentrated ten to twenty fold. 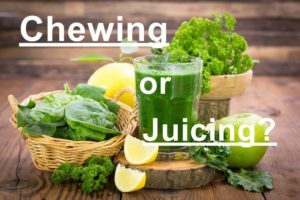 So chewing rather than juicing allows the saliva to release more nitrites and these, in turn, get further reduced by gastric acid into nitric oxide. This nitric oxide is then available to the endothelial cells to keep your blood vessels healthy and, hopefully, your body free of cardiovascular disease. 1. 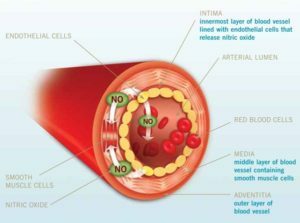 What is one of the major roles of nitric oxide in our blood vessels? 2. Which of these foods are the best anti-oxidants? 4. When we consume nitrates, the body converts them into n s.
5. So, which releases more nitrites for nitric acid production? Mano R, Ishida A, Ohya Y, Todoriki H, Takishita S. Dietary intervention with Okinawan vegetables increased circulating endothelial progenitor cells in healthy young women. Atherosclerosis. 2009; 204(2):544–548. Heinonen OP, Huttunen JK, Albanes D, et al. The effect of vitamin E and beta carotene on the incidence of lung cancer and other cancers in male smokers. N Engl J Med. 1994;330(15):1029-1035. Esselstyn CB Jr., Gendy G, Doyle J, Golubic M, Roizen MF. A way to reverse CAD? J Fam Pract. 2014 July; 63(7): 356-364. Esselstyn C. Resolving the coronary artery disease epidemic through plant-based nutrition. Prevent Card. 2001; 4: 171–177. Esselstyn C, Ellis S, Medendorp S, Crowe T. A strategy to arrest and reverse coronary artery disease: a 5-year longitudinal study of a single physician’s practice. J Fam Pract. 1995; 41(6):560–568.